Between 1998 and 2018, the European exports have gone from 1,238,138 tonnes to 3,927,308 tonnes. 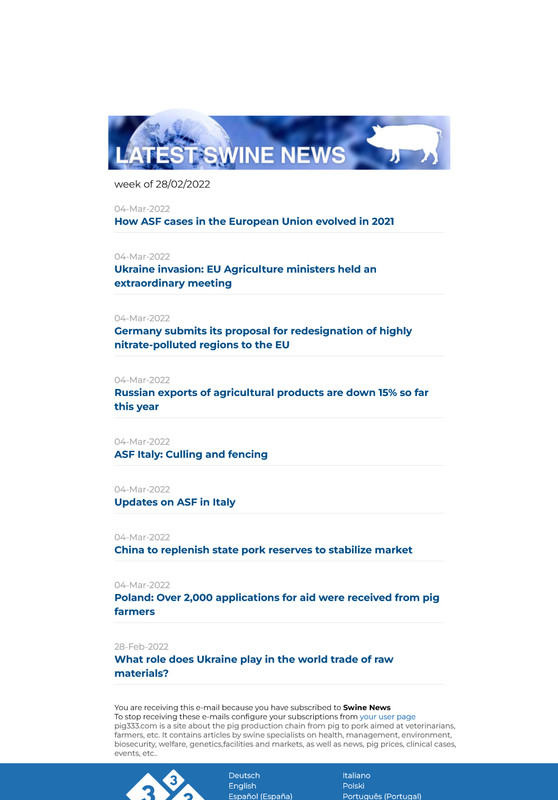 In the last 20 years, European pork exports have trebled, going from 1,238,138 tonnes in 1998 to 3,927,308 tonnes in 2008, according to the data published in the last report drafted by the Committee for the Common Organisation of the Agricultural Markets. If we compare this with 1995 (881,011 tonnes), we can say that in the last 23 years the European exports have quadrupled. We must highlight the peak reached in (4,159,093 tonnes), with the exports to China reaching 1,859,565 tonnes, this representing a share of 44.9% and an increase by 63% in comparison with 2015. Monday, February, 25th, 2019/ Pig333 editorial office from data by the European Commission.